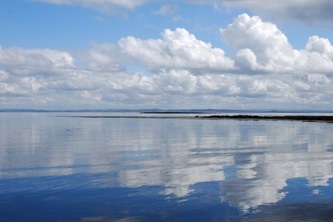 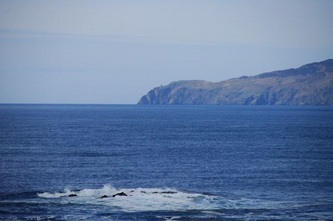 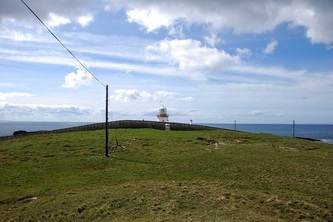 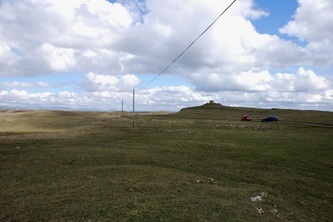 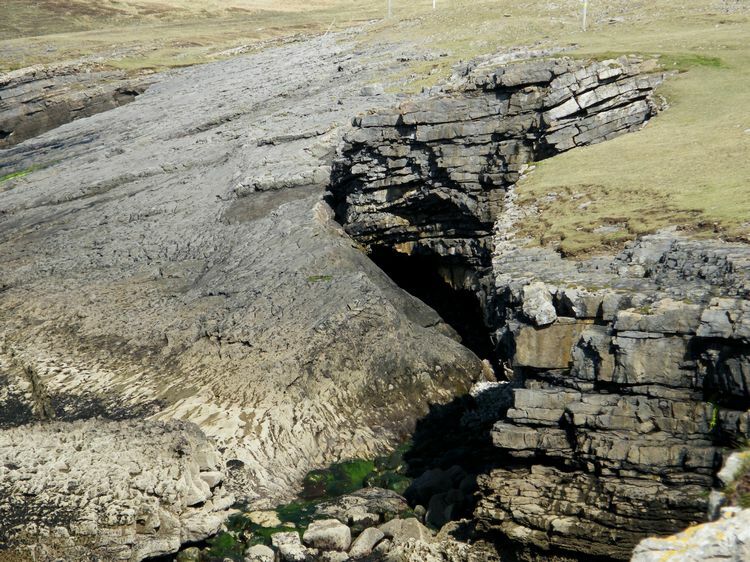 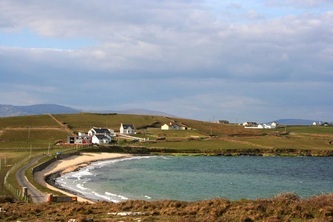 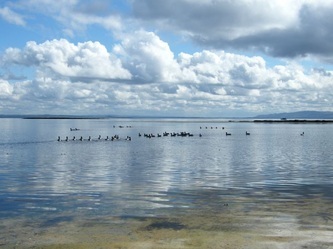 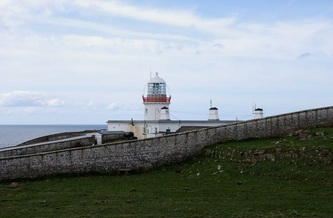 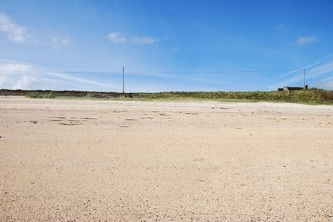 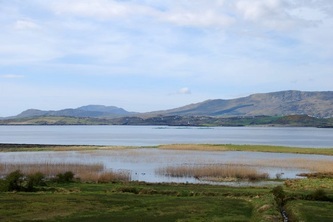 Dunkineely sits at the head of the peninsula of St. John's Point which at almost 11km/7 miles long is one of the longest peninsula in Ireland. 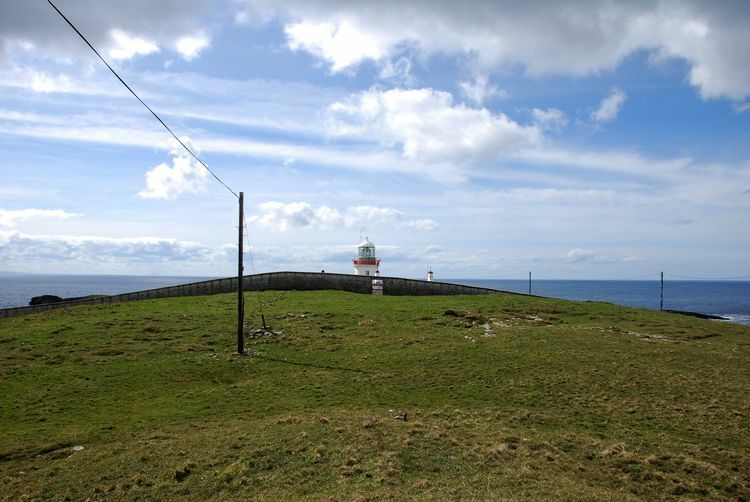 On the point there is a pretty little beach called the Coral Beach and at the end of the point is a lighthouse and one of the best diving spots in Ireland, known for it's crystal clear waters. 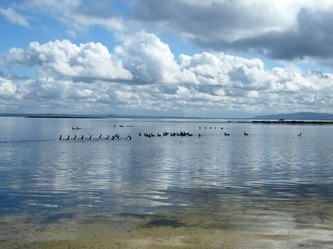 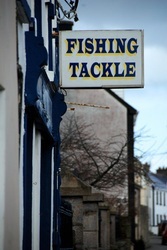 There are also good fishing points along the rocks there, although of course care must be taken. 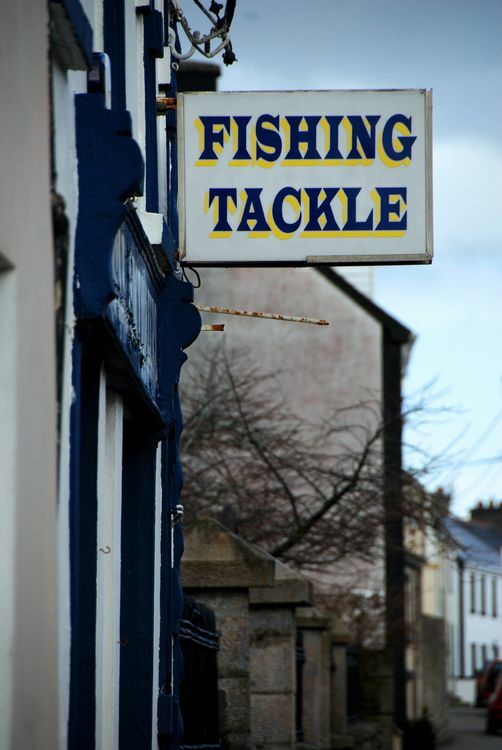 The fishing store in the village can supply fishing needs together with lots of local information on the best fishing (and diving) points in the area. 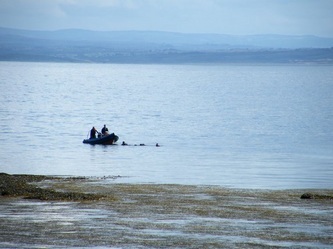 Read more about fishing and diving HERE. 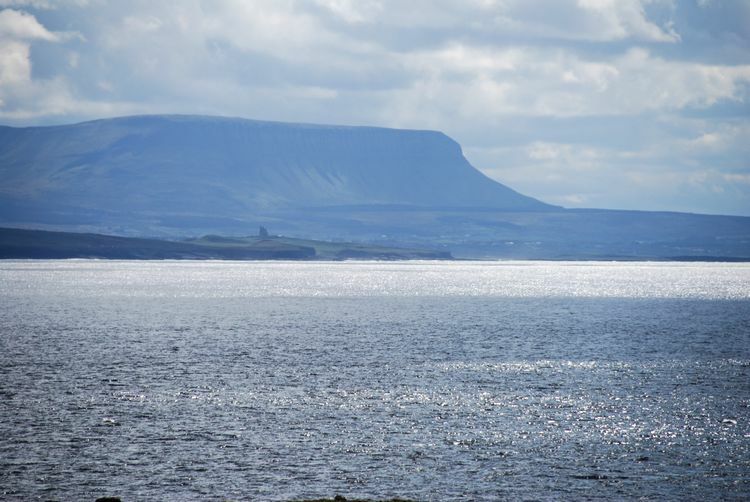 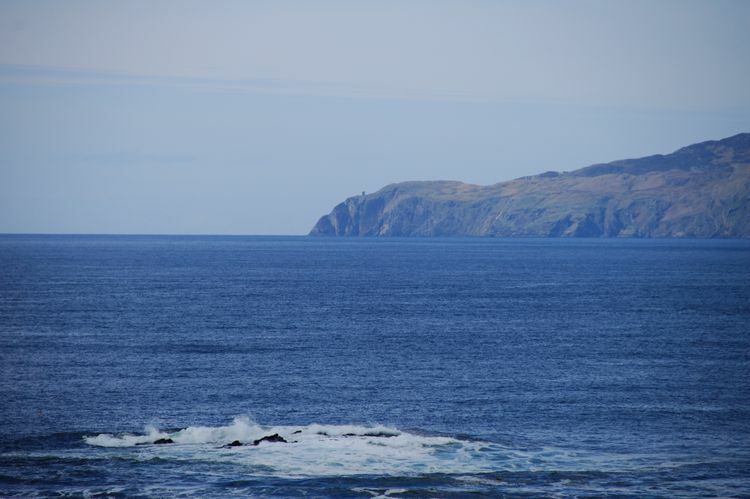 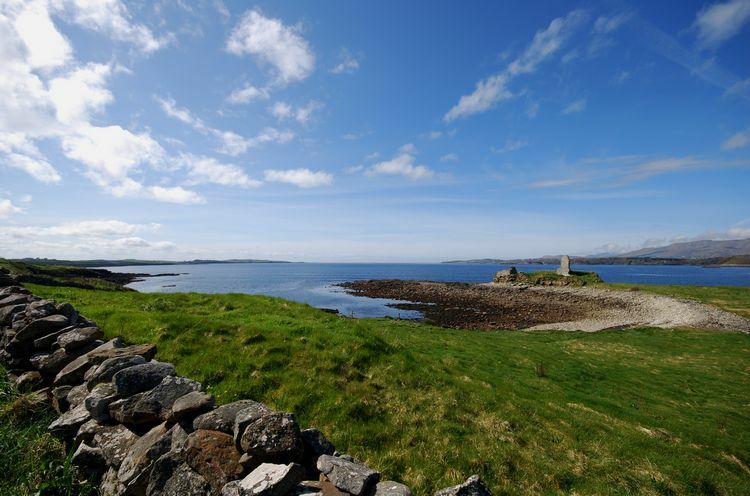 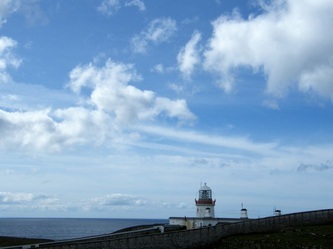 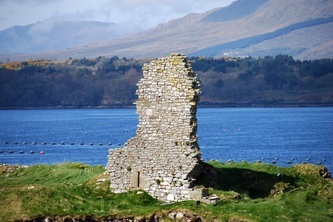 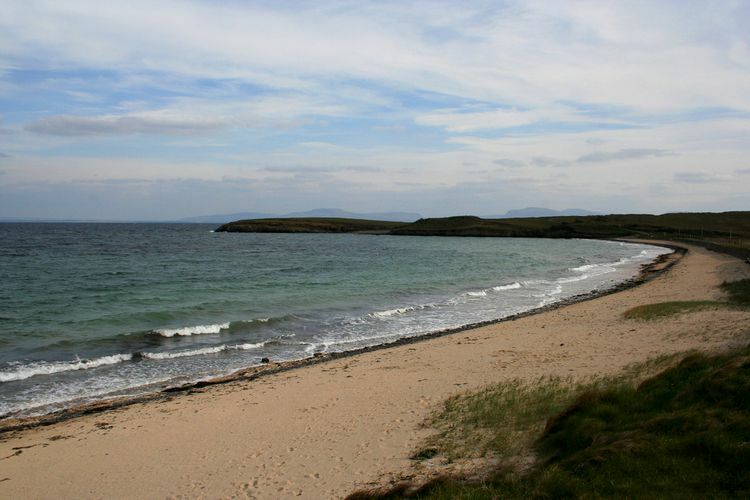 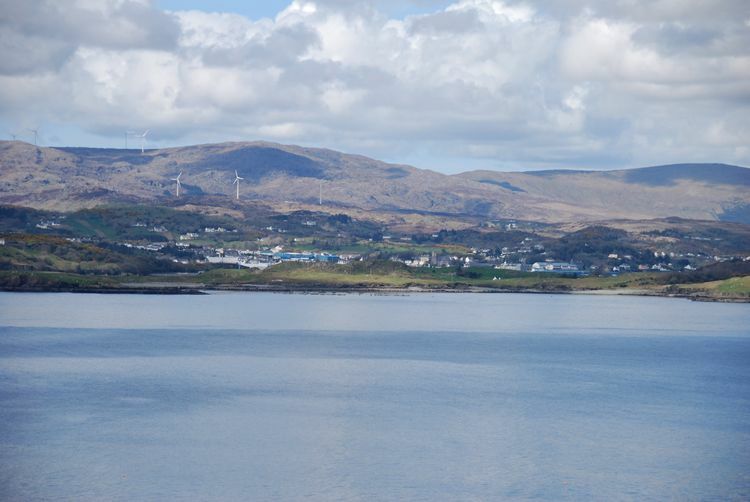 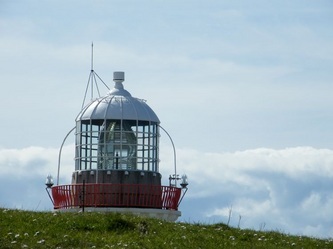 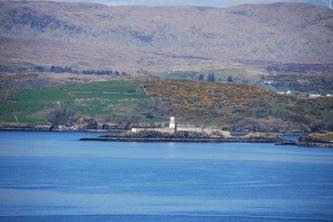 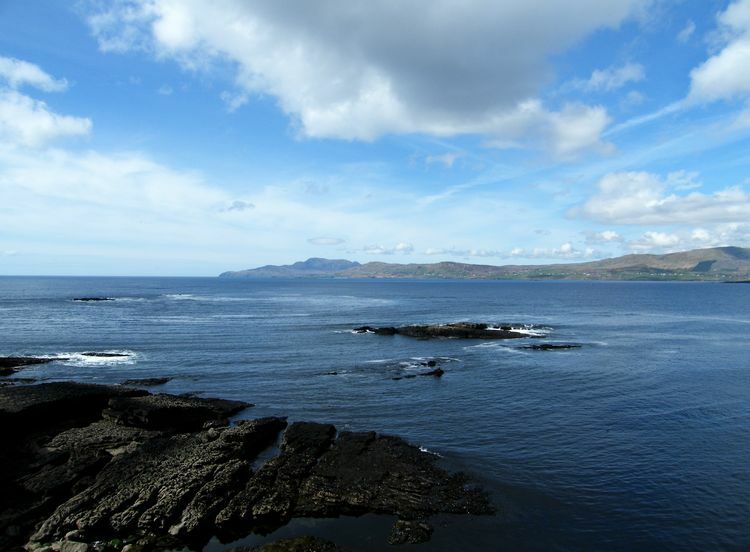 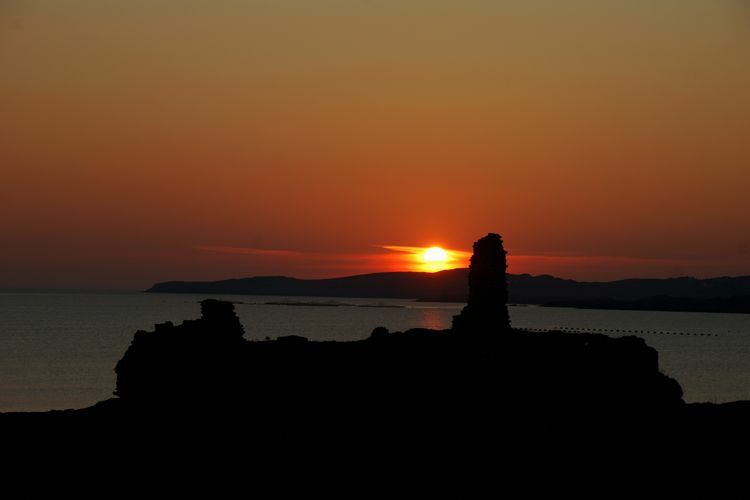 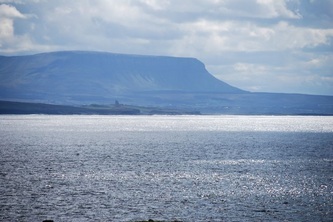 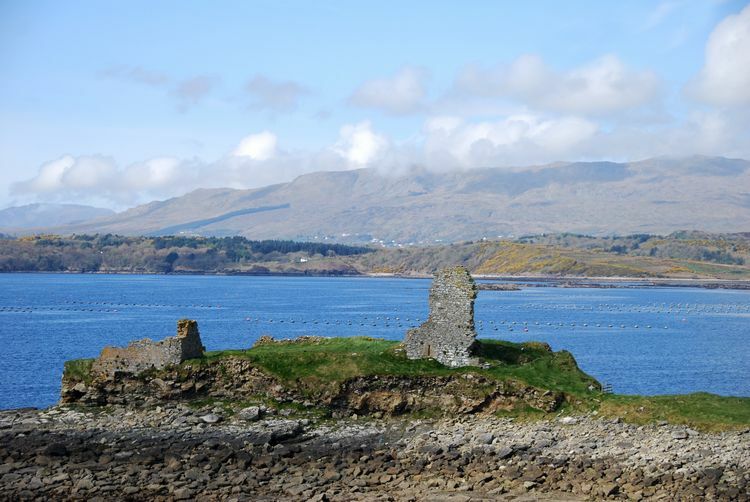 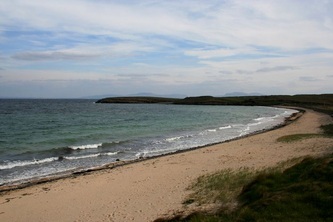 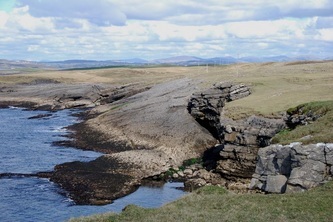 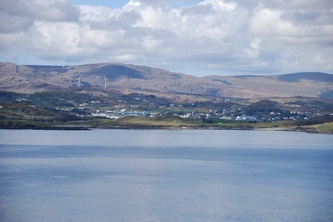 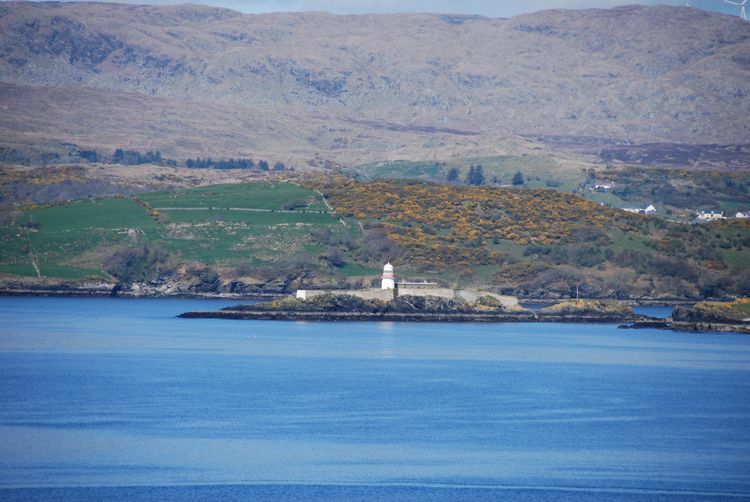 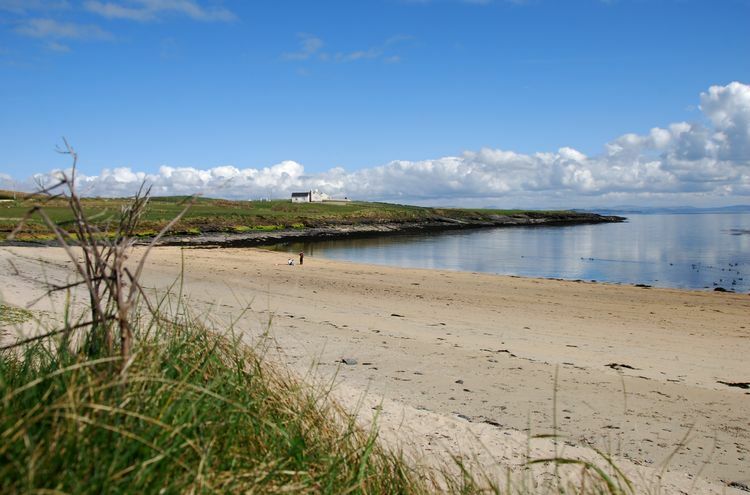 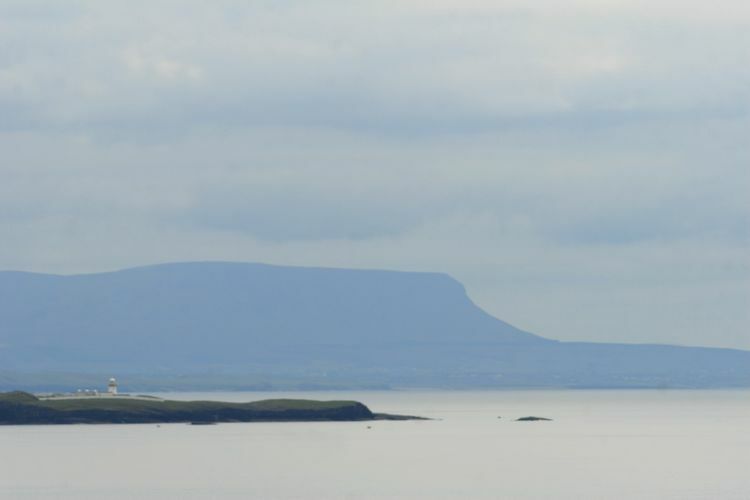 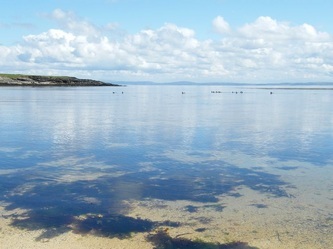 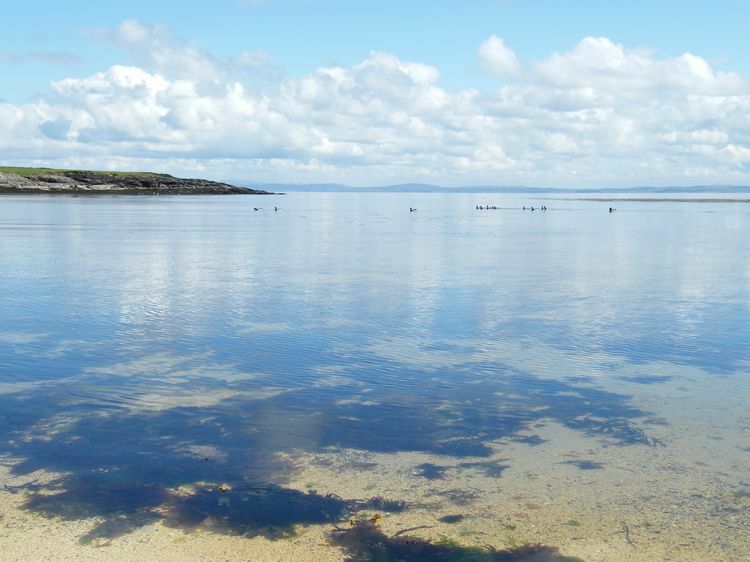 The views from the end of the point are spectacular, looking across Donegal Bay to the distinctive outline of Benbulben mountain in County Sligo, and to the nearby fishing port of Killybegs to one side and Bundoran on the other side. 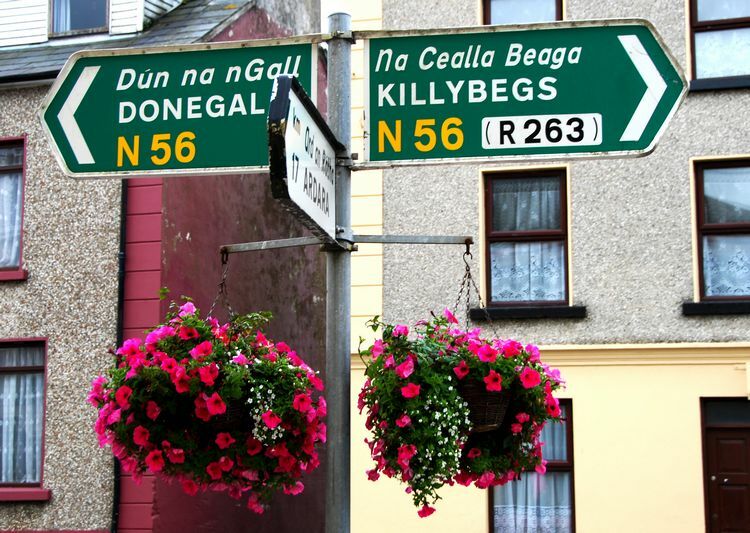 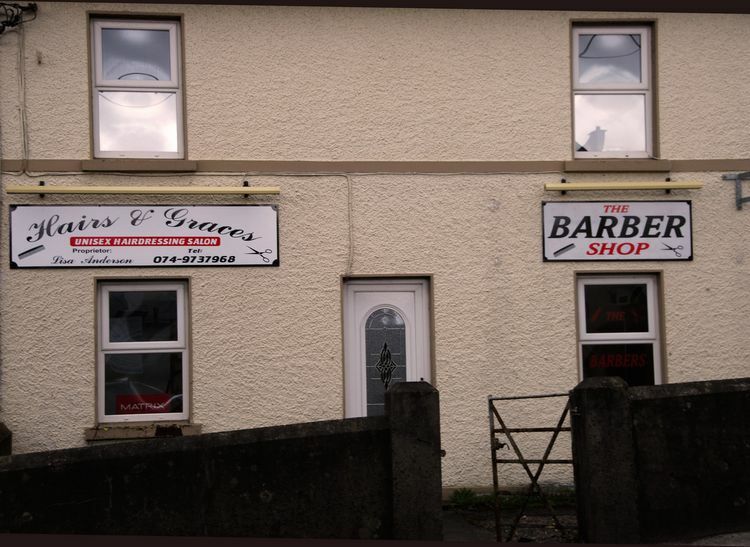 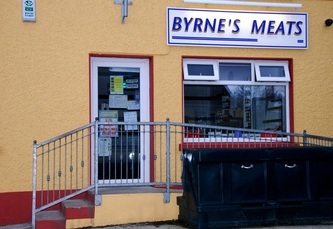 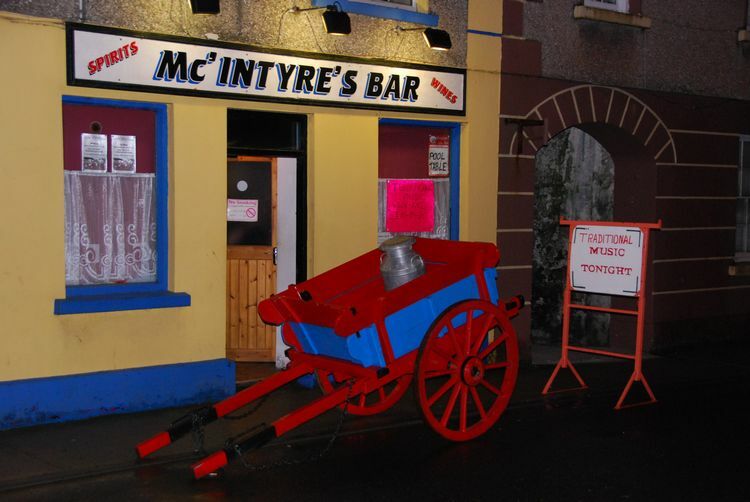 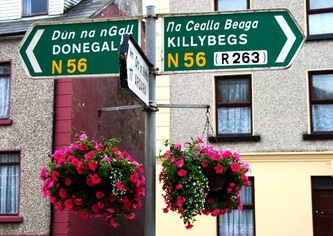 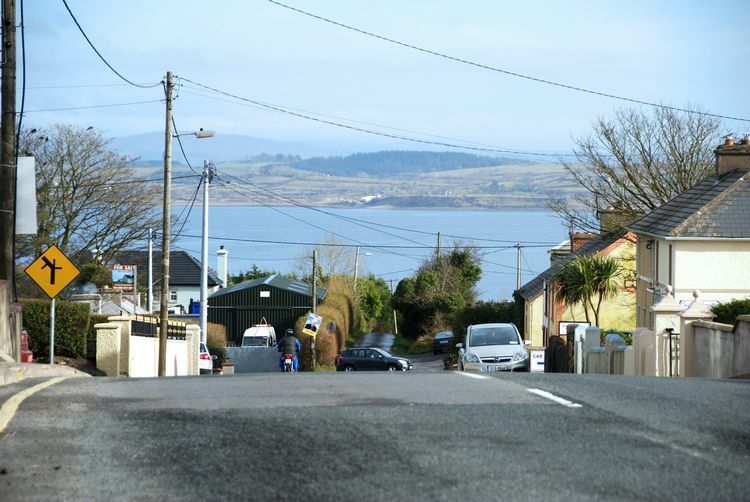 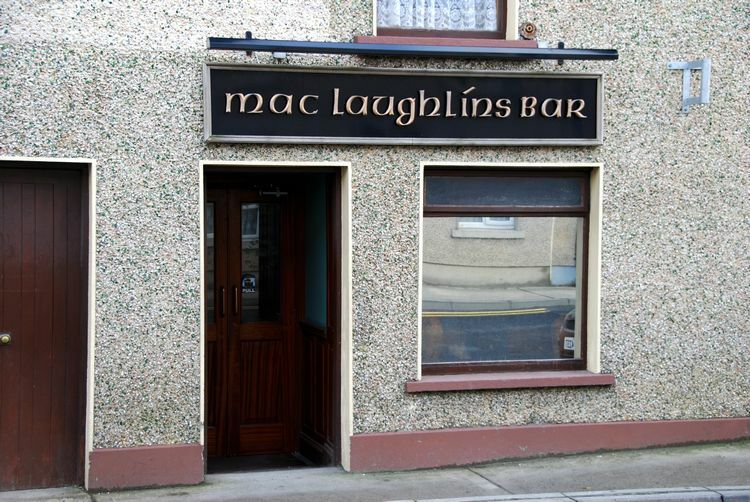 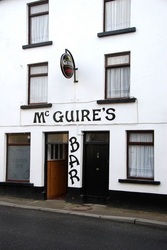 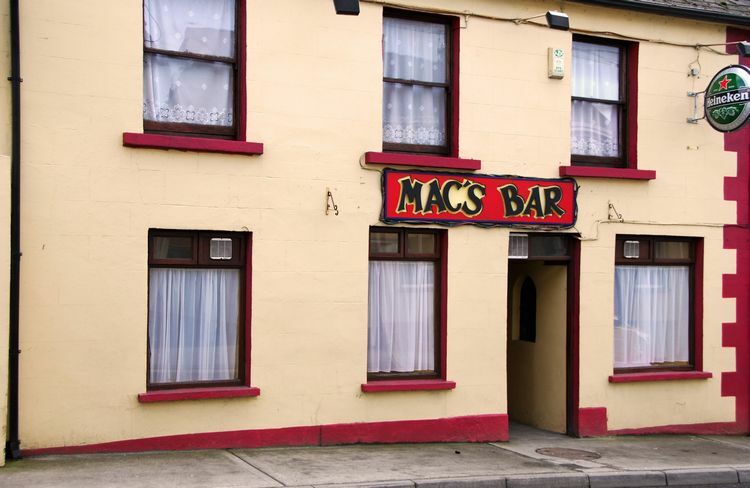 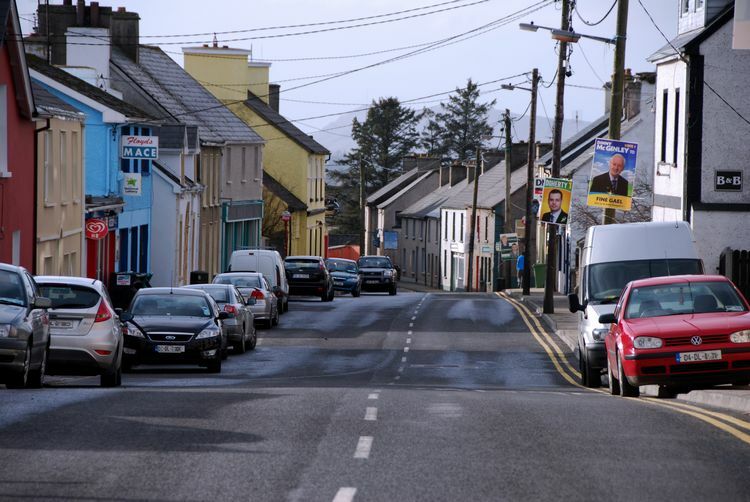 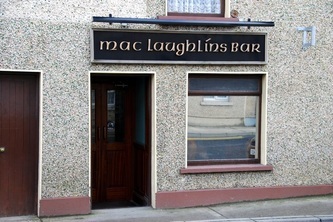 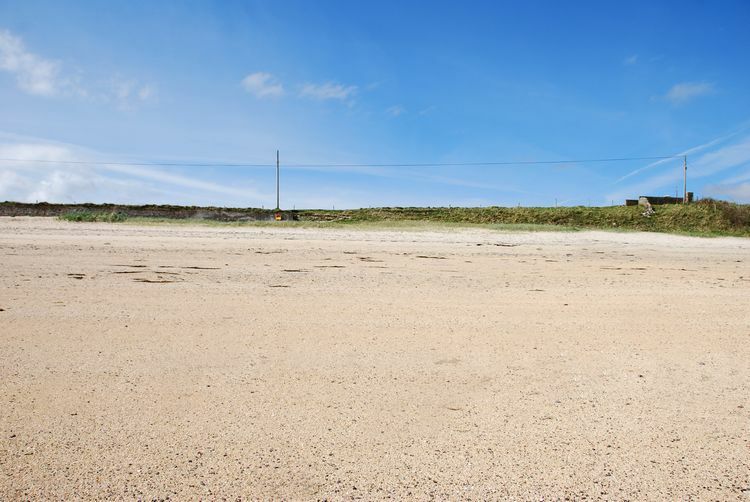 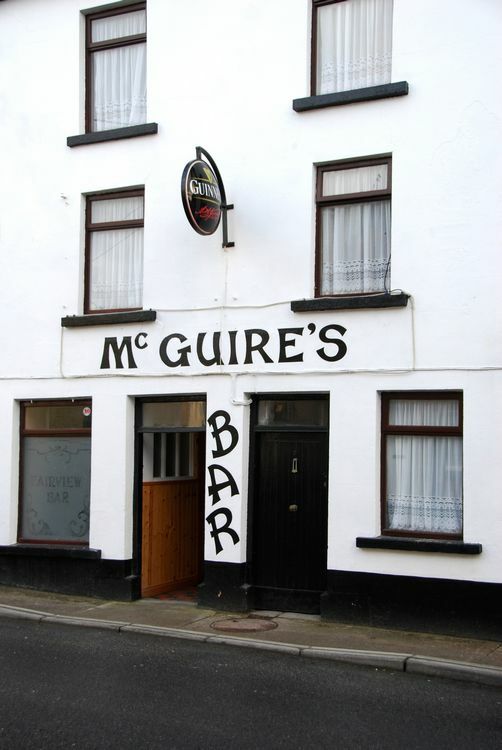 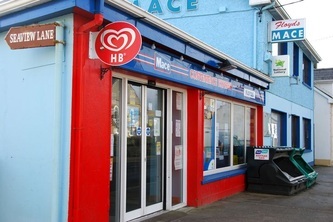 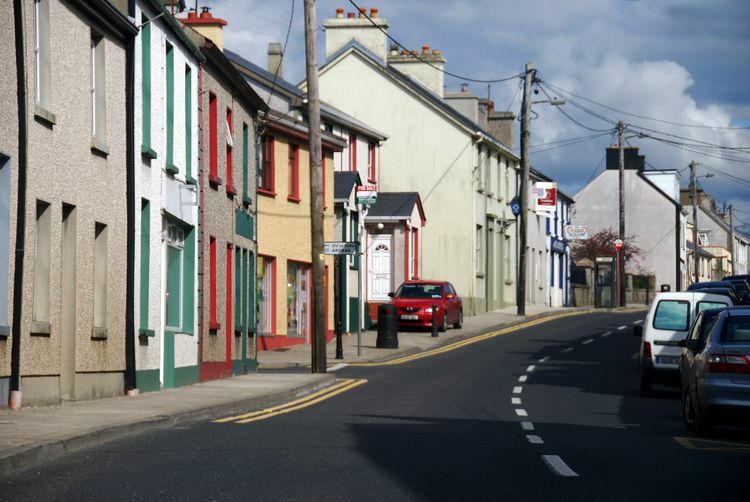 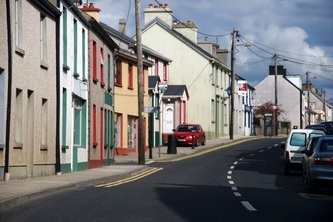 Dunkineely sits on the road between Donegal Town and Killybegs, 18km/12 miles from Donegal Town and 8km/5 miles from Killybegs (and 17km/11 miles from the heritage town of Ardara) and is a typical small Irish village with it's shops and a variety of bars. 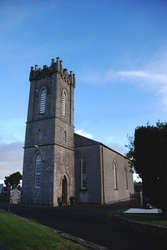 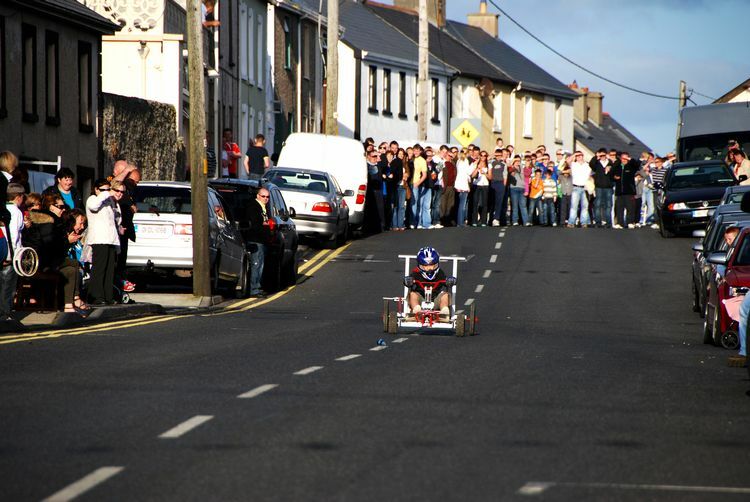 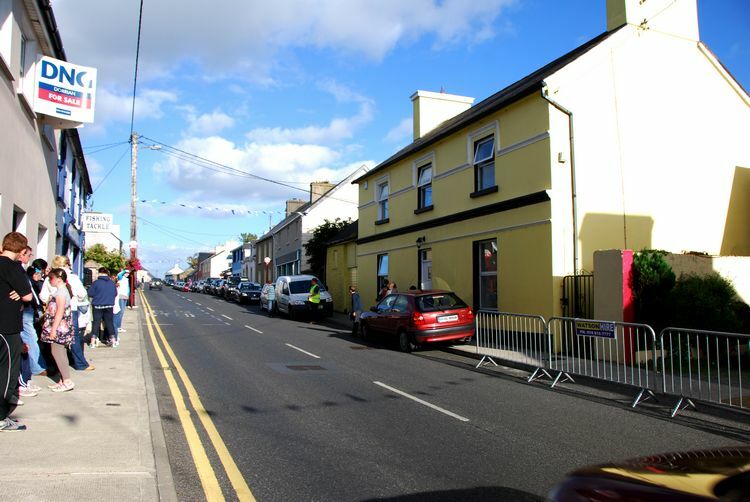 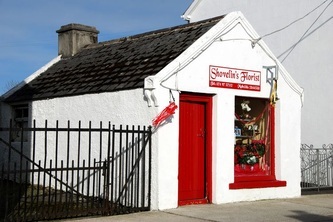 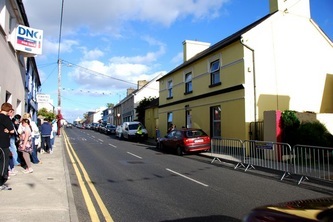 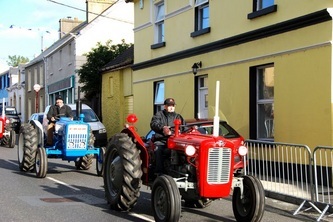 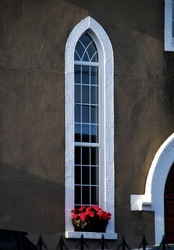 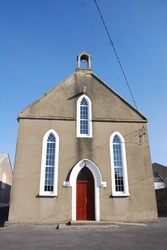 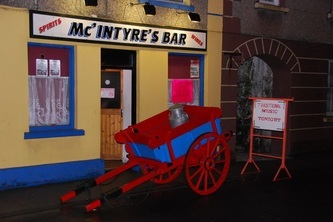 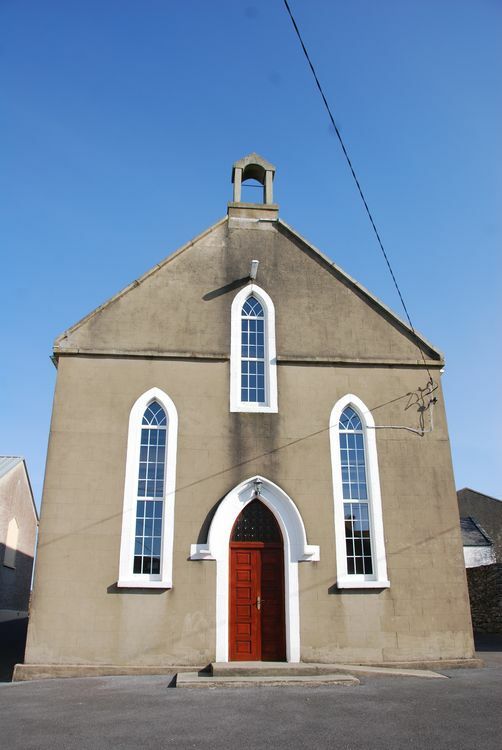 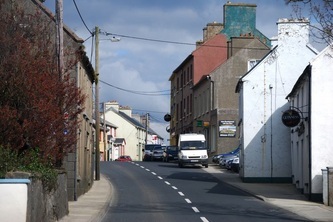 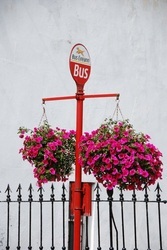 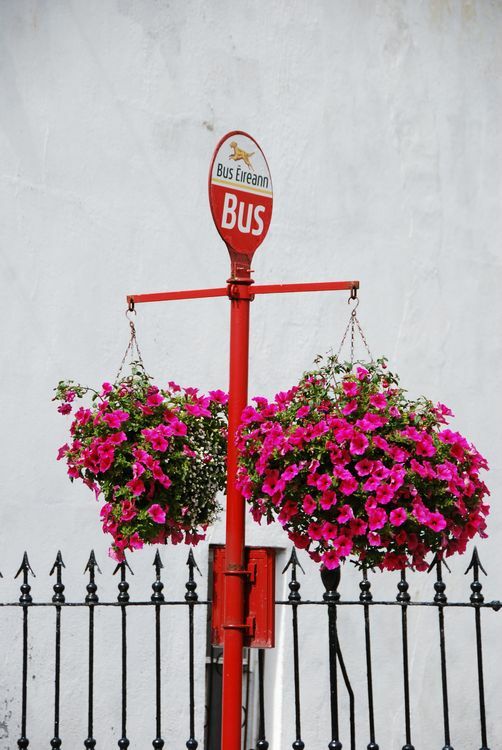 The village holds a festival each summer, the Dunkineely Town Festival, which features a soap-box derby, a vintage car and tractor rally, and various other events. 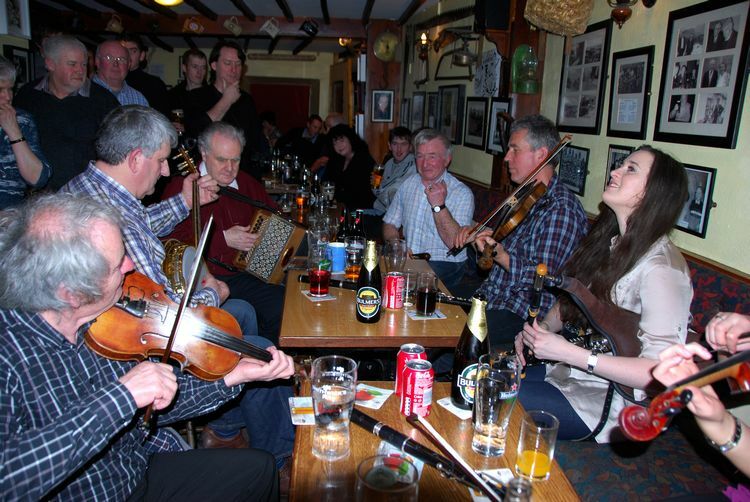 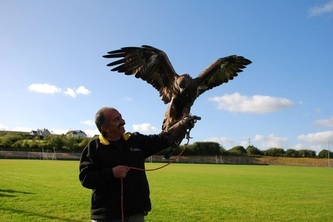 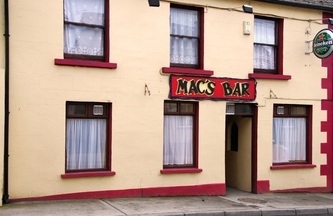 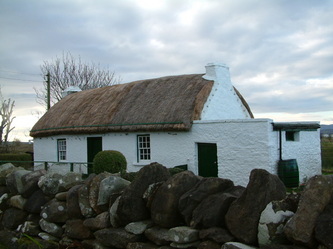 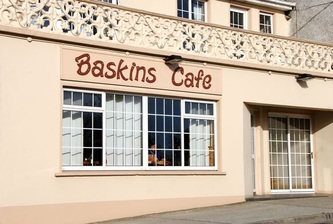 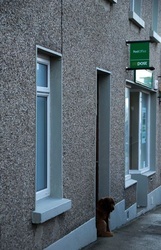 In February 2011 the village held its first Dunkineely Traditional Music Festival, a three day event which attracted musicians from all over Ireland and the UK. 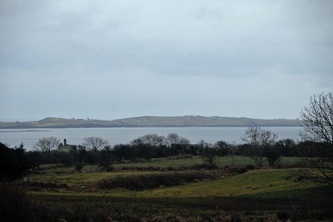 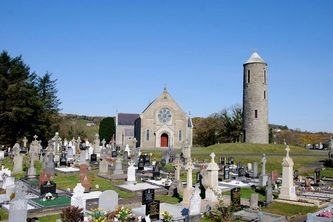 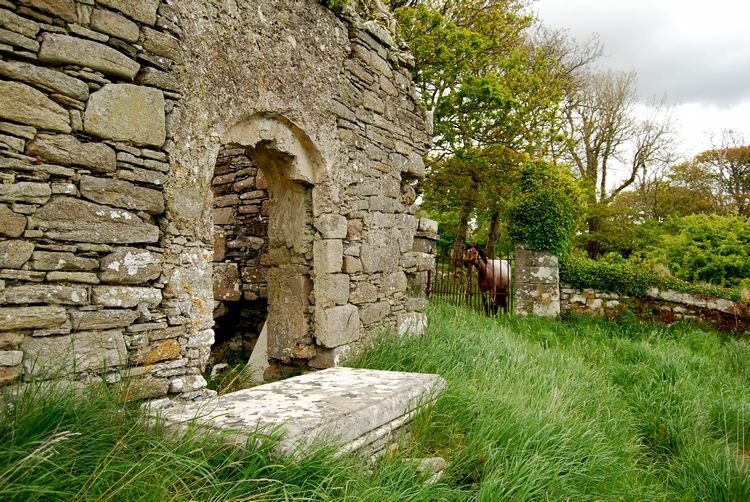 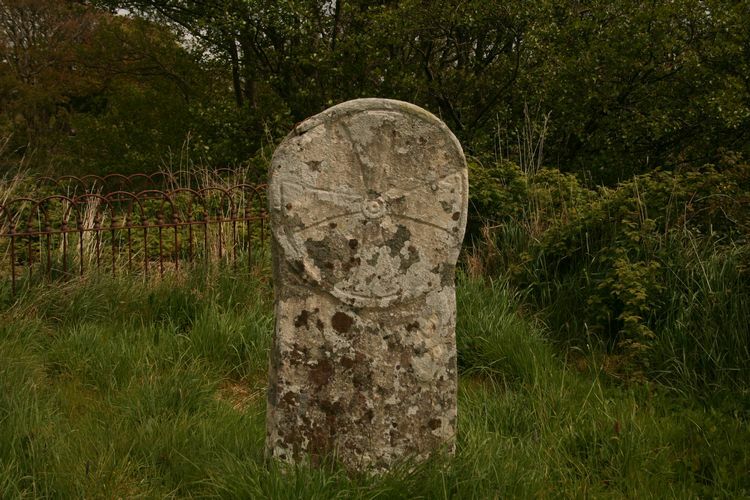 At the edge of the village on the Killybegs side there is an old church and graveyard at Killaghtee. In the graveyard there is the Kilaghtee Cross which is one of the oldest Celtic crosses in Ireland, dating from 650 AD. 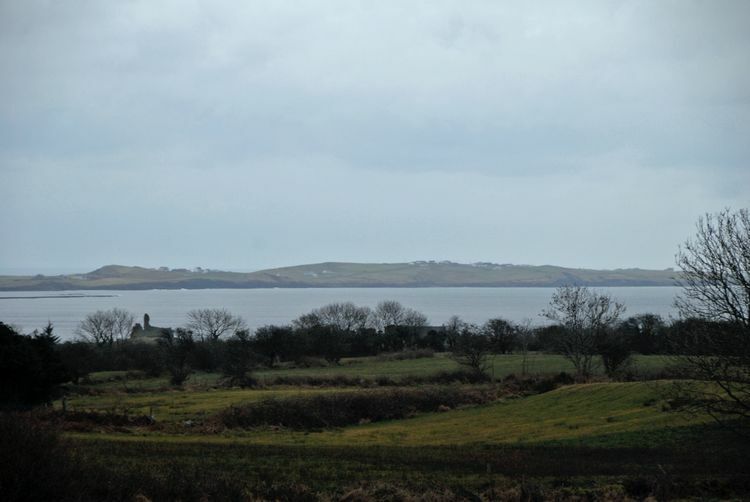 Scroll down to view photographs of Dunkineely & St. John's Point (click on any of the photographs to enlarge). 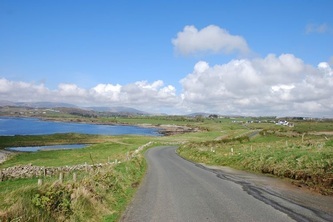 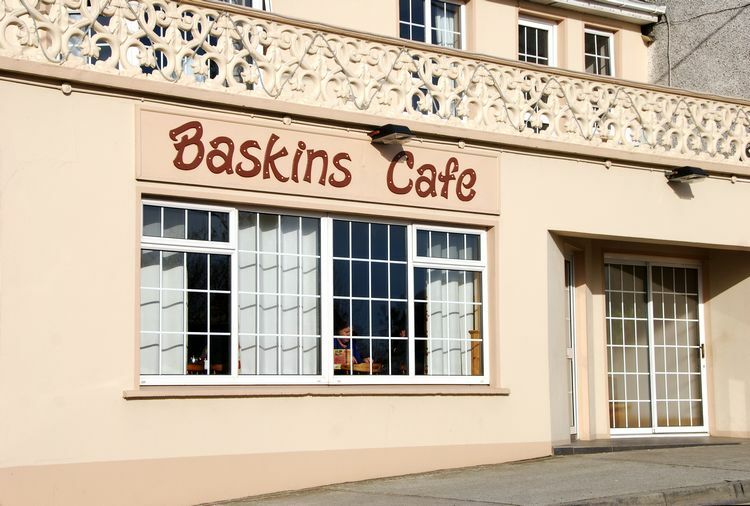 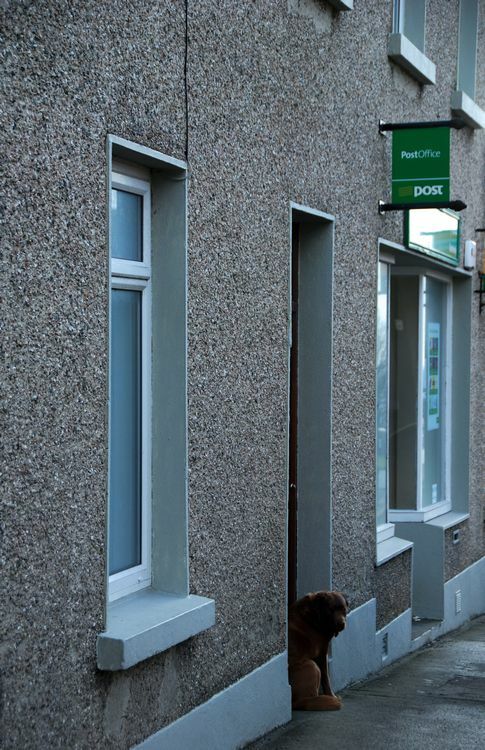 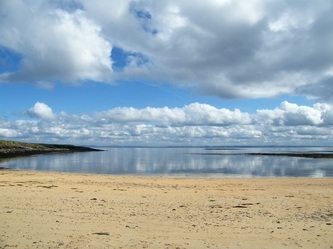 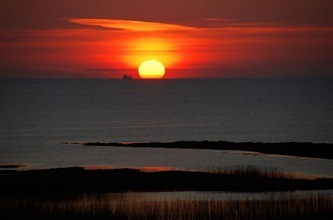 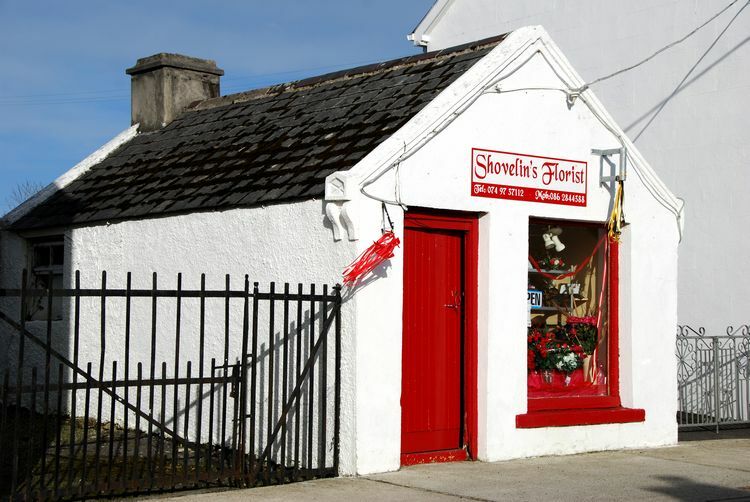 If you wish to visit Dunkineely & St. John's Point, please visit our sister site, Holiday Donegal Ireland by clicking HERE to view accommodation, eating out, shops etc.